While you’re in Split, widen your sightseeing to Dubrovnik: an easy, if relatively long, drive south along Croatia’s coast. 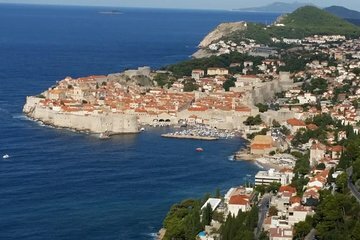 Traveling by private, air-conditioned minivan with a personal driver-guide, admire the scenery on the way to Dubrovnik UNESCO-listed Old Town, choosing to pause at stone-built coastal villages on route if you wish. On arrival, enjoy a panoramic city tour before exploring independently; walking the medieval walls and lanes to discover the landmarks, restaurants, shops, and more.